Appointments can be made, at a time that suits you, and treatments are held in Rifa’s private home, so clients feel totally secure and never rushed. 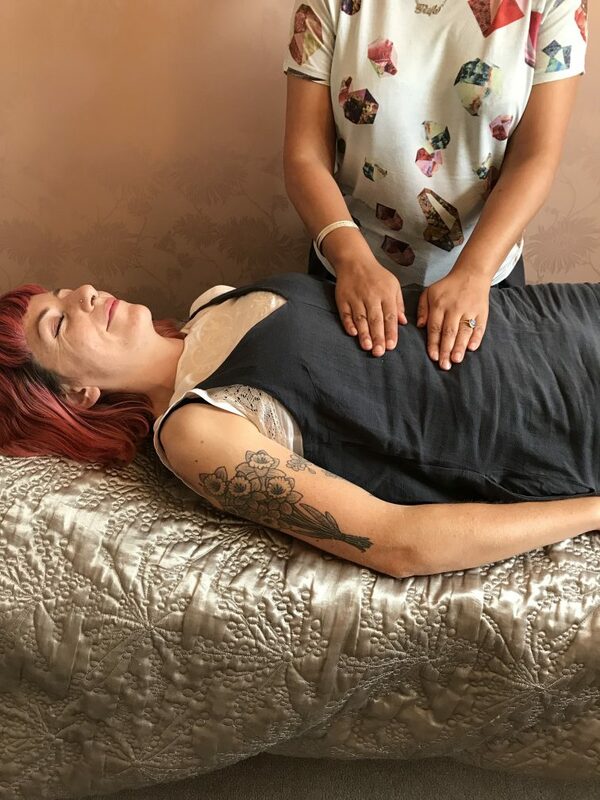 The client lies on a comfortable massage couch, fully clothed and whilst soothing ‘reiki music’ is played, Rifa places her hands gently along the body, for about 5 minutes on each position. You might feel tingling, waves of energy over the body and warmth. Sometimes the body reacts by sneezing, laughing, coughing but everyone feels a great sense of relaxation and peace. After the treatment, you’ll chat about how you felt during the treatment and Rifa may share some insights with you if asked. Drink plenty of water after a treatment and rest as much as possible. The beneficial effects may stay with you for several days. Although even one Reiki treatment can make a difference, it is usually best to have a course of regular treatments. To get the most benefit we recommend three treatments over 3 consecutive weeks and followed by once a month if necessary. Each treatment is between 30 minutes to 1 hour long. Reiki can never harm. It can be used safely on all ages and all people. It is pure energy and always creates positive change. If you are not ready for changes in your life, the healer or reiki master cannot force the healing process. It is your right to be happy and fulfilled and reiki can help you clear those physical and emotional issues, but only if you are willing to be open-minded and accepting of help. Reiki does not take the place of conventional medicine. Always consult a GP for an acute or infectious condition and problems of urgent concern. Reiki is a complementary therapy that works effectively alongside orthodox healthcare. If you have any questions about reiki treatments please contact us. Under 16’s must be accompanied by a parent or guardian. Missed appointments may be charged at the full treatment price. Gift Vouchers available.